New Delhi [India], Apr 4 : India's leading innovative solar solutions provider and one of the largest solar power EPC and Development companies RaysExperts on Tuesday announced that it has commissioned a 5.5 MV solar project for Delhi Metro Rail Corporation (DMRC). This will be one of the largest distributed rooftop solar plants setup across India. RaysExperts' solar installation will supply power to multiple metro stations, cleaning bays, parking yards and other metro rail supporting facilities. The project has the capacity to produce 87 million units of power every year. New Delhi - The Environment Ministry is likely to take a call this week on giving a green clearance to Jindal Power Ltd for setting up 3,097 mega watt hydro electric project in Dibang Valley of Arunachal Pradesh. It is also expected to decide on granting green nod to two major irrigation projects - the Lower Penganga Inter-state Irrigation project in Maharashtra and construction of flood carrier canal project in Tamil Nadu. These three proposals are listed for environmental clearances before the 82nd meeting of the Expert Appraisal Committee of the Environment Ministry, which is scheduled to be held on February 26-27, sources said. Karachi, Jan 25 - Attempts to restore power are underway after a major blackout hit Pakistan around midnight on Saturday, leaving about 80 percent of the country shrouded in darkness, a report said. Almost all of Pakistan including, Punjab, Khyber-Pakhtunkhwa, Islamabad and Balochistan plunged into darkness around 11:50 p.m. on Saturday night as Baloch separatists attacked transmission lines near Naseerabad in Balochistan, causing the national power grid to trip and shutting down electricity supply to most parts of the country, reported the Dawn. New Delhi - The government is looking to start a fresh process of inviting bids for ultra mega power projects (UMPPs) at four locations in the country in the next three-six months, Power Minister Piyush Goyal on Friday said. 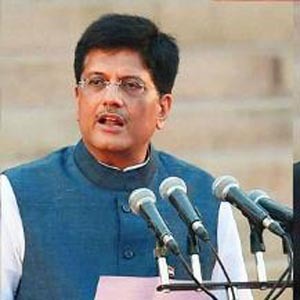 "These four proposed UMPPs include two for which we have cancelled the bid and we will be inviting fresh bids, and two more have been identified - one in Bihar and another in Jharkhand," Power Minister Piyush Goyal said on the sidelines of Economic Times Power Summit. The Minister said he is hopeful the process of inviting bids will start in the next three to six months. New Delhi - Private power utility Tata Power on Monday said its Trombay thermal power station had developed a technical problem. "Tata Power said that a technical snag developed in Unit 7 at Trombay thermal power generating station," the company said in a regulatory filing to the stock exchange. The gas turbine generator rotor of the Combined Cycle Gas based unit developed an inter-turn short and ground. However, there is no associated damage to any other equipment, the company said without disclosing whether or not power generation was impacted due to the snag. Raipur, Oct. 7 - The first 685 MW unit of GMR Chhattisgarh Energy Limited's (GCEL) 1370 MW supercritical coal-based thermal power plant at Raikheda here has successfully achieved synchronization with the grid on 2nd October, 2014. GCEL is the GMR Group's first supercritical coal-based thermal power plant. The unit used fuel oil to achieve this first synchronization. The project has been implemented on multiple packages concept by Doosan of Korea and the work on commissioning GCEL's second unit of 685 MW is in progress. New Delhi: Reliance Power on Tuesday announced that the fifth 660 MW unit of its 3,960 MW Sasan ultra mega power project has commenced generation. With this, the total operational capacity of the Sasan plant in Madhya Pradesh has reached 3,300 MW, Reliance Power said in a release. Last unit is in advanced stages of construction and will be commissioned over the next few months, the statement added. Coal production has already commenced from the 20 million tonnes Moher and Moher-Amlohri coal mines associated with the power project. Solapur : Prime Minister Narendra Modi on Saturday said his government was aiming at providing 24-hour power supply across the country as he outlined his vision for infrastructure development with a nationwide network of roads, power transmission lines and power and water grids. He also equated saving of electricity with service to the nation. 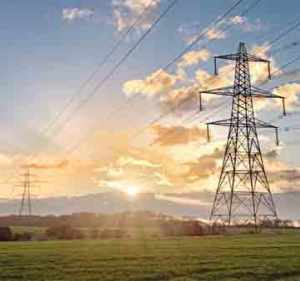 Mumbai: In a major decision, state electricity regulator Maharashtra Electricity Regulatory Commission (MERC) has granted 25 years distribution licence to Tata Power for supplying power in city and suburban areas. MERC in its order has allowed Tata Power Company (TPC) to supply electricity in Mumbai city, parts of suburban areas including Bandra to Dahisar in Western suburbs; Chunabhatti to Vikhroli and Mankhurd in Eastern suburbs for 25 years. It has also been granted licence to supply electricity in areas of Mira-Bhayander Municipal Corporation, Chene and Versova which were earlier not a part of its licence area. Mumbai: Shares of Lanco Infratech and Adani Power gained as much as 5 percent on Thursday following a mega deal for a power plant between the two companies. Adani Power will acquire Lanco Infratech's 1,200 MW Udupi thermal plant in a deal worth over Rs 6,000 crore. Lanco Infratech's scrip rose by 4.92 percent to Rs 8.95 on the BSE. Similarly, shares of Adani Power gained 3.65 percent to Rs 53.95. Adani Power would acquire Lanco Infratech's 1,200 MW imported coal-fired Udupi thermal power plant in Karnataka. New Delhi: Electricity producer Tata Power aims to double its generation capacity to 18,000 MW from all sources of energy by 2022. The company generates power from different fuel sources -- thermal (coal, gas and oil), hydroelectric power, renewable energy (wind and solar Photo-Voltaic). Its current generation capacity is 8,613 MW. Tata Power generated 11,866 million units from its thermal stations during the quarter ended June 30, 2014. Its two projects -- Coastal Gujarat Power Ltd (CGPL) and Maithon Power Ltd (MPL)-- were the top contributors to increased generation. New Delhi : In a first-of-its-kind initiative in the country, Delhi Metro Rail Corporation (DMRC) on Monday launched the operation of a solar power plant at its Dwarka Sector-21 Metro station. The plant was inaugurated by Urban Development Minister Venkaiah Naidu at the Metro Bhawan here in the presence of, among others, Union Minister of State for Power, Coal and Renewable Energy, Piyush Goyal, and DMRC Managing Director Mangu Singh. Kolkata: The USD 1.2-billion Indo-Bangla power joint venture is planning to award the contract for construction of the plant by April 2015 and expected to start commercial generation by FY18. "We expect to award the contract next year. The company has recently appointed Fichtner Consulting Engineers and is in the process of finalising a consultant who will help in sourcing coal for the project," NTPC Chairman & Managing Director Arup Roy Choudhury said. The plant is likely to consume around 8 million tonnes of coal every year and the entire generation will be based on coal imported into Bangladesh, he said last evening. New Delhi: State-owned Coal India (CIL) is yet to enter into fuel supply pacts with 12 power units as issues like change in ownership and extension of coal supplies are still being examined by the government. 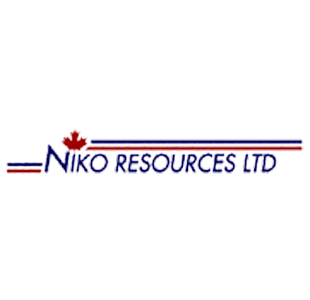 "Out of this 78,000 MW capacity as on date CIL has signed 160 FSAs (Fuel Supply Agreements) for a capacity of 73,075 MW. "In the remaining 12 cases, some issues related to change of ownership, extension of coal supplies, beyond the period admissible under Tapering Linkage Policy, etc, are involved," said the minutes of meeting dated July 24 of Standing Linkage Committee on Power. 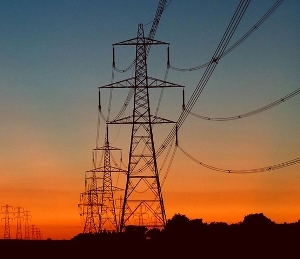 Mumbai: The power sector faces multiple challenges including high subsidy for state utilities and uncertainty over tariff compensation to power producers, Icra said today. Besides, the Plant Load Factor at thermal plants declined to 65.6 percent in the 2013-14 fiscal from 69.9 percent in FY'13, primarily due to backing down of generation units due to low demand from discoms.